Sheer wedding dresses are one of the biggest trends you'll see in bridal fashion today. The inclusion of sheer panels on the neckline, bodice, or sleeves creates an illusion that is unexpected but dreamy. Elegant appliques and delicate beadwork take the shock factor from "see-through" to stunning. This sleeveless jeweled boat neck gown has generous beading. However, the sheer fabric lies underneath the neckline offers balance and softness to the sparkling design. And the tulle in the bride’s veil echoes her sheer wedding dress in seamless fashion. The sheer fabric on this gown serves as the canvas for a stunning arrangement of art-deco inspired beading and stitching. 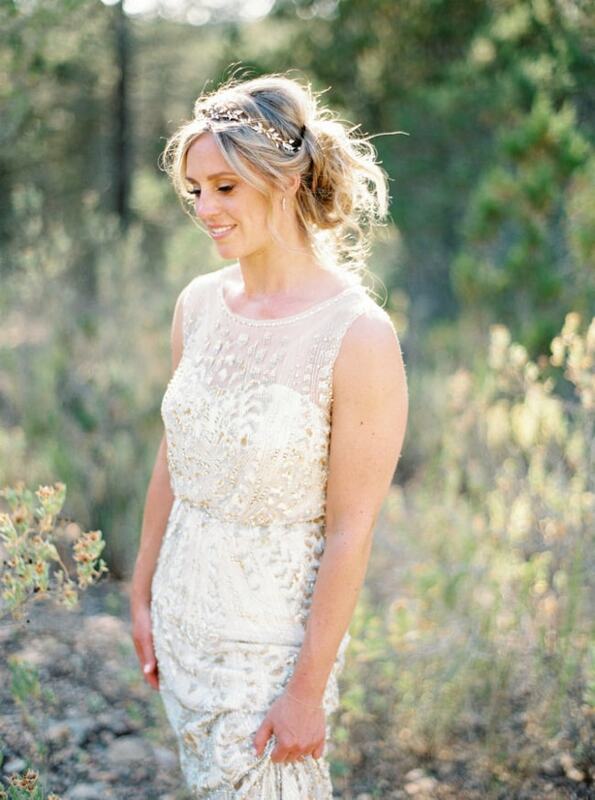 For a daring bride, this look is flirty and fun but still very much bridal in its own silver-sparkling way. 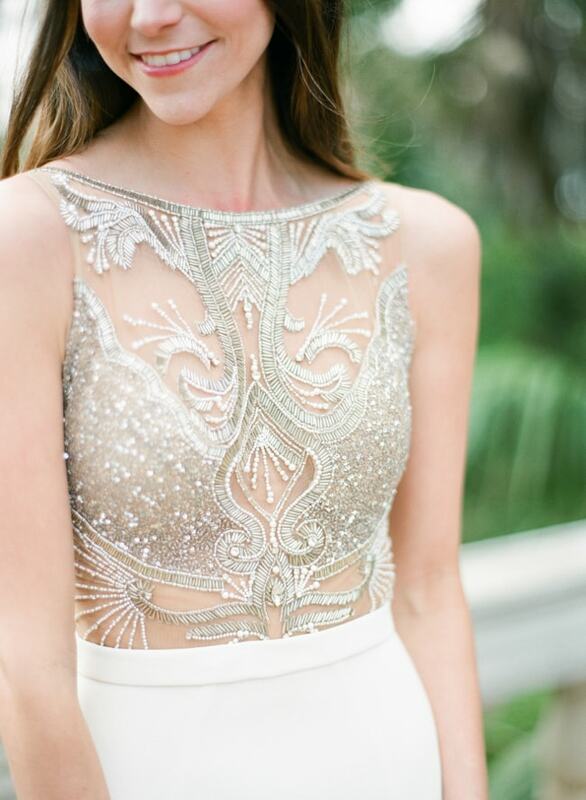 If you’re not a fan of heavy beading, this applique-designed dress is exquisite. The sheer V-neck and straps truly give it an illusion appearance while the flowers are light and airy. If the word “sheer” gives you pause, that’s okay. However, this gown proves that sheer doesn’t necessarily mean "see-through." 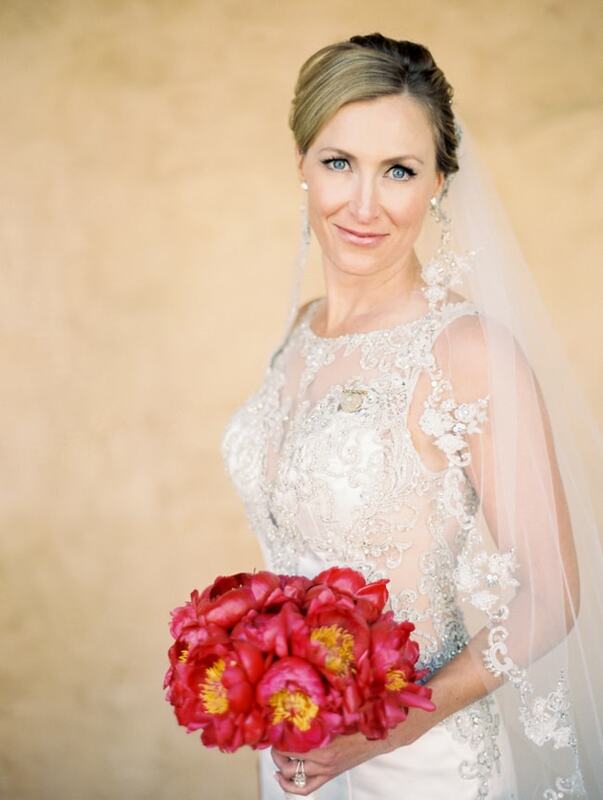 In fact, this bride opts for a sheer jacket that’s covered with abundant beading. Rather than being completely transparent, the sheer fabric allows the beading to truly shine. Many wedding dresses also have surprise backs to them that feature sheer details. 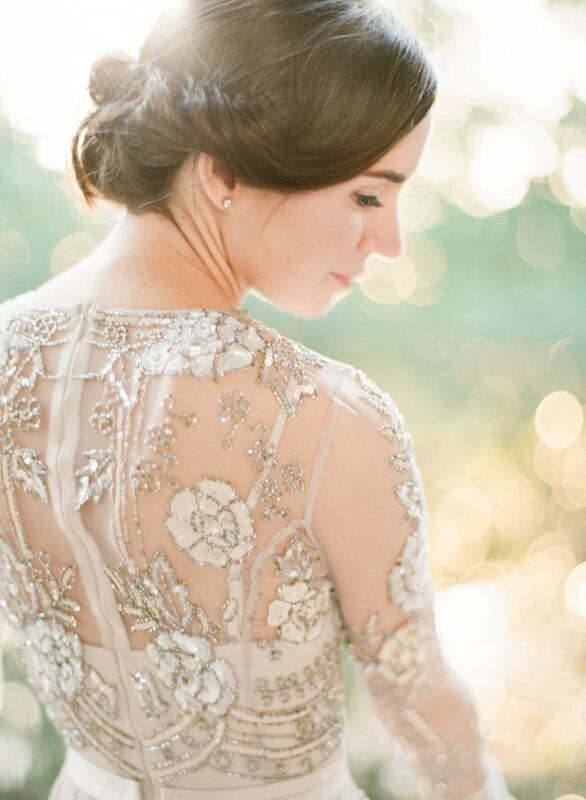 The back of this gown is stunning with its floral-inspired beading over the sheer fabric. With a gown like this, you can remove your veil and showcase the gorgeous back detail as a surprise at the reception. Sheer wedding dresses can also provide balance to a dramatic design. With this gown, silver beading drips from top to bottom but the sheer panel at the neckline brightens the bride’s face and saves most of the drama for the bodice and skirt. If your style is a little more regal and luxurious, this gold-beaded sheer dress is worth a second look. It features sheer fabric on the neckline, bodice, and sleeves and offers a floral-inspired design all around. It’s an elegant interpretation of this modern trend. 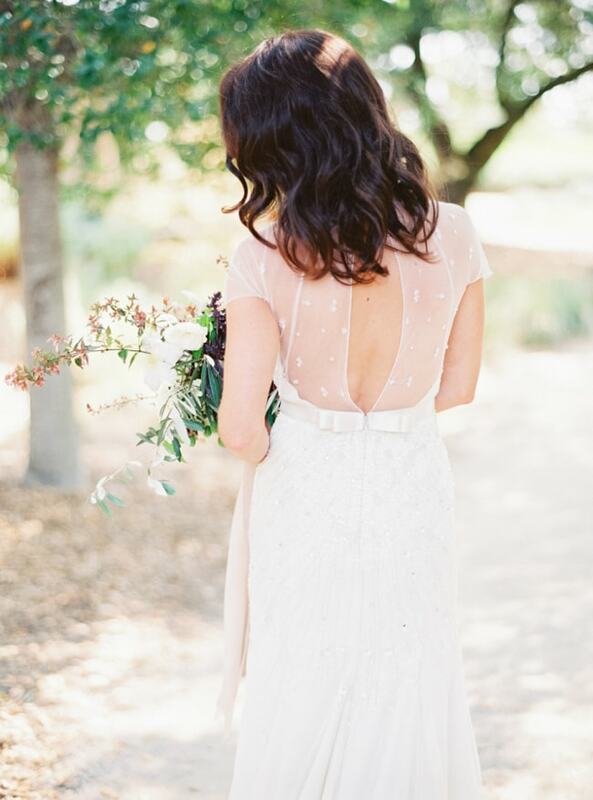 A sheer wedding dress with a bow in the back calls for a sweet, sweet bride. With the unique keyhole back, this sheer dress features tiny dots of beading and also short sleeves for a modest, yet charming look. Sheer wedding dresses are a trend that aren’t going anywhere for a while. While some designs are bold, others are unique alternatives to dressing modestly for the big day. Either way, there’s always a look that can make any bride the picture of sheer beauty!